On Hyundai European media website, you can read this : according to a report by Information Trends entitled Global Market for Hydrogen Fuel Cell Vehicles, more than 20 million hydrogen fuel cell cars will be sold worldwide by 2032, generating over €1.2 trillion in revenue for the auto industry. The report also predicts that fuel cell cars will be the fastest growing segment of the auto market by 2050. The infrastructure is not quite there yet, but that’s going to change in Europe. For example, in Germany, there are currently just 24 hydrogen refuelling stations, but there are plans for 400 to be built by 2023. The UK aims to have 65 filling stations by 2020. London opened its first station in May 2016 with four more earmarked for the English capital. Companies and governing authorities are partnering to roll out new hydrogen fuel cell initiatives throughout Europe. There is a recognition for the need to develop a network of filling stations which meet the jointly-defined technical standards for filling ports and the actual fuelling process itself. 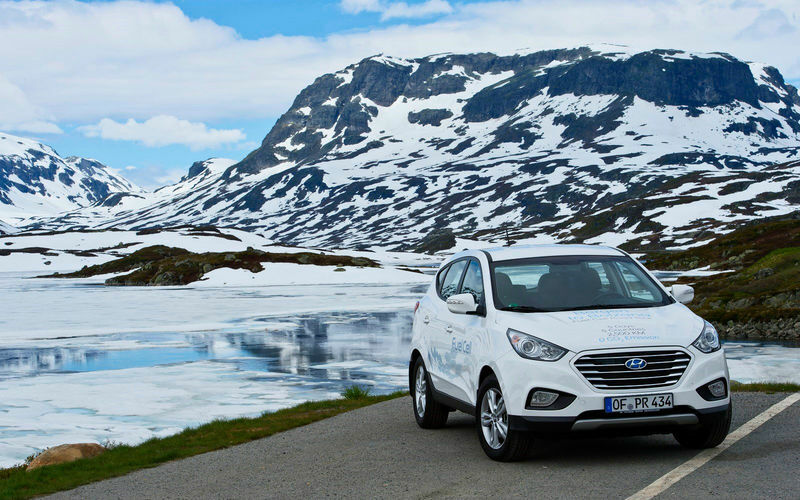 Along with manufacturing the world’s first mass-produced fuel cell electric vehicle (FCEV), Hyundai is also contributing to hydrogen fuel cell projects around the continent. Hyundai Motor is the first car manufacturer to open a public hydrogen station at its European headquarters in Offenbach, Germany. The technology was developed by Hyundai’s partner Air Liquide and the project is part of the Clean Energy Partnership (CEP) which sees cooperation between government and industry in the area of hydrogen-powered mobility.